Could Birther Orly Taitz Win Her California Primary? Now this is interesting: According to Politico, infamous birther Orly Taitz may emerge from today's California primary with the Republican nomination to become secretary of state. Taitz, an Israeli emigre, dentist and lawyer, has become nationally known for filing lawsuit after lawsuit predicated on the notion that President Obama was not born in the United States. 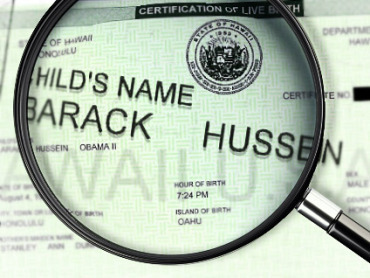 She is perhaps the best known of the "birthers," the name given to the group of conspiracy theorists who, despite overwhelming evidence to the contrary, claim the there is no proof the president was born in Hawaii - and thus potentially should be removed from office. In dismissing one of Taitz' many lawsuits last October, Judge David O. Carter wrote that "Plaintiffs' counsel has favored rhetoric seeking to arouse the emotions and prejudices of her followers rather than the language of a lawyer seeking to present arguments through cogent legal reasoning." He also noted that "the Court has received several sworn affidavits that Taitz asked potential witnesses that she planned to call before this Court to perjure themselves." Taitz has been fined $20,000 as a result of her lawsuits. Yet despite all this, there is an outside chance that Taitz could defeat former professional football player Damon Dunn in the GOP primary, California operatives said in the Politico story. That would be awful news for anyone who would have to run on the same ticket - including, potentially, Republican gubernatorial frontrunner Meg Whitman. Taitz' views are toxic enough to get her disinvited from a tea party rally in April; through a spokesman, Republican Senate hopeful Chuck DeVore, a Tea Party favorite, called her theories "crazy." And yet with Dunn opting to essentially ignore Taitz in the primary, the door to a birther victory may be open. Winning the general election -- an unlikely proposition, even if she gets through the primary -- would make Taitz the top election official in California. "It will be a complete embarrassment if she wins, but these things can happen," California Republican strategist Allan Hoffenblum told Politico.